It’s Hedgehog season! We found this young animal on the way to its first big production run…but it needs our help to ensure healthy development. 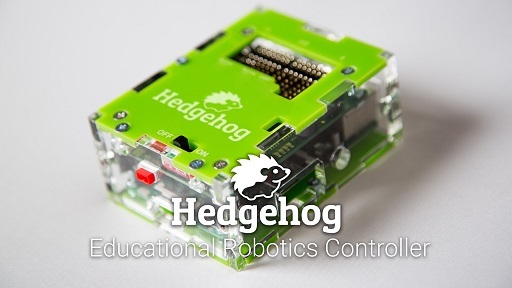 This Austrian Hedgehog is a versatile educational robotics controller, bringing your robots to life. The developer and promoter of Hegehog is the “Pratical Robotics Institute Austria”(PRIA), with whom we have already helped foster a very successful development project called RoboUML using Enterprise Architect together with LieberLieber Embedded Engineer. The goal was to show that it is possible to generate code for Hedgehog to develop a robotic arm, and we are now able to develop applications for Hedgehog from UML models using Enterprise Architect and LieberLieber Enbedded Engineer. PRIA is already using Hedgehog with big success in classes, wokshops, robotics competitions and projects, inspiring dozens of kids with cool engineering subjects. Now a Kickstarter project has been set up to raise money for a first larger production run, so please help this Austrian-born hedgehog to start a world career with your donation.